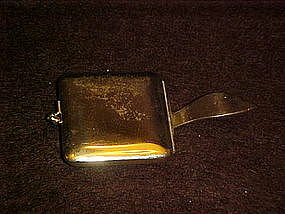 Vintage purse accessory by Napier. Chrome plated. Chrome is a little pitty or scrathy looking on one area (see photo). Inside looks mint. Measures 1 7/8" x 3 3/4" overall. Tight clasp. Marked Napier.